A new Fertilizer Use Survey by Teagasc indicates long term reduction in fertiliser usage on Irish farms. The study is based on analysis of over a decade’s worth of data collected by the Teagasc National Farm Survey. It covers the years 2005 to 2015, a period when Ireland has been bound by the EU Nitrates Directive regulations governing fertilizer use. The study, focuses on the usage of nitrogen, phosphorus, potassium and lime, with detailed analysis, by farm system, land use class, stocking rate, nitrate zone and agri-environment scheme participation. The study indicates that nitrogen, phosphorus and potassium fertilizer application rates on grassland tended to be between 11-16pc higher at the start of the study period compared to the end, with more dramatic declines in application rates noticeable in the mid-study period (23-52pc). The years of lowest grassland fertilizer use (2008-09) coincided with the period of highest fertilizer prices, while higher than average period application rates in 2013-2014 were associated with the aftermath of a national fodder shortage. Similarly the report finds that fertilizer application rates on cereal land were lower in the higher price period of 2008-09. Comparing 2005 with 2015, showed that nitrogen application rates on cereal land actually increased by about 10pc. Phosphorus application rates on cereal land in 2015 were broadly in line with usage levels in 2005. Potassium application rates on cereal land showed the largest increase, up 33 percent in 2015 relative to 2005. The large impact which agri-environmental scheme membership has on fertilizer usage is also evident in the study. Fertilizer application rates on grassland were on average 36% lower for farms participating in an agri-environment scheme. Nitrogen, phosphorus and potassium application rates for the main cereal crops for agri-environment scheme participants were on average 15pc, 10pc and 3pc lower respectively, over the study period. 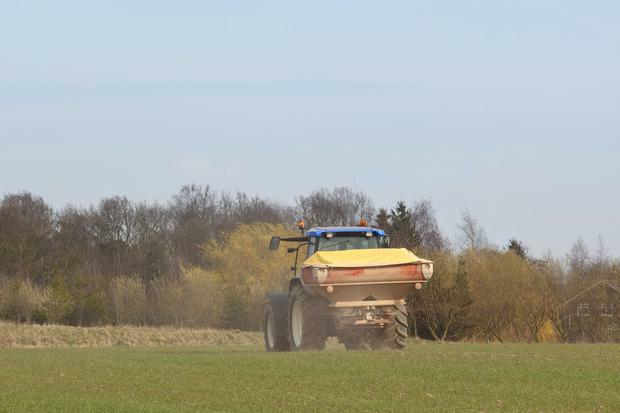 A concern raised by the study is that few farms are engaged in ongoing lime application from year to year. Adequate liming is essential to achieve optimum soil pH levels in order to maximise the effectiveness of fertilizers. It is notable that on average just over 20pc of farms used lime year-on-year over the study period. The lowest rate of liming was evident in 2006 at just 16pc of the farm population and the highest liming rate over the period was recorded in 2013 at 26pc of total farms. Commenting on the results of the study, Dr. Cathal Buckley of Teagasc noted that long term studies of this kind were of particular value, since the data provide a better picture of trends at farm level than is available from short term analysis.